UPDATE--On July 20 and 21 2014 the Revolutionary Court put Journalist Saba Azarpeik on trial. Each session lasted four hours. According to witnesses at her trial, she has lost a visible amount of weight. This is the first time she has been seen by anyone except her jailers and interrogators since being arrested two months ago. Since her arrest, she has had no family visit and only one phone call to family members. UPDATE--June 9, 2014-- More than 140 Iranian journalists have called on authorities to release Saba Azarpeik, who was picked up last month from the offices of a magazine in Tehran and is currently being held incommunicado. Azarpeik, who has written for various reformist publications including Etemaad daily, has been outspoken about the state's treatment of journalists and opposition figures. She was arrested while working in the offices of Tejarat-e-Farda, a Tehran-based reformist weekly. In a statement seen by the Guardian, a group of Iranian journalists protested against her arrest, saying it was against the Islamic republic's own constitution and human rights treaties to detain her for merely doing her job. "It is both illegal and dangerous that neither Saba's family nor the public has information about her current whereabouts," it said. The statement was signed by journalists based inside and outside the country including Zeinab Esmaili, Behrooz Samadbeigi, Fereshteh Ghazi, Mana Neyestani, Maryam Amousa, Masoud Behnoud, Mahsa Amrabadi and Newsha Saremi. In the light of the news blackout of her arrest by the authorities, it was still unclear on Monday which political institution was behind Azarpeik's arrest and which prison she was being held in. It was also not clear if she had access to a lawyer. The statement expressed regret that Iran's judiciary was not being responsible concerning Azarpeik's legal rights and freedom of speech while in custody. "We want Saba Azarpeik to be freed," it said. "We want her human and legal rights to be respected and we demand information about her health situation in jail." The statement called on the government of Hassan Rouhani and its cultural ministry to confront Azarpeik's detention. The harassment of journalists has continued under Rouhani in Iran but his administration has little to do with the arrests, often carried out by the security apparatus. Azarpeik was particularly outspoken on her Facebook page, which has been taken offline since she was detained. In recent years, she has drawn a great deal of attention by covering the case of the Iranian blogger Sattar Beheshti, whose death in custody brought embarrassment for the Islamic republic and its cyber police. In Iran, dozens of journalists and bloggers remain in jail, where some have been subjected to humiliating physical abuse, including being forced to run a gauntlet of guards armed with batons. In recent years, the Committee to Protect Journalists (CPJ) has documented the mistreatment of journalists in Iran, which was the world's second largest jailer of journalists in 2013, behind Turkey. In April, the CPJ reported that at least seven journalists were beaten in Tehran's notorious Evin prison. On May 28, 2014 Iranian security forces arrested Saba Azarpeik, a prominent journalist working for a number of reformist publications in Tehran, including Etemaad daily. Ms. Azarpeik was picked up from the offices of Tejarat-e-Farda, a pro-reform weekly based in the Iranian capital. It was not clear if the officials had obtained a warrant for her arrest before raiding the weekly's office, and whether she has been allowed access to her lawyer. Iranian opposition websites which carried reports about her arrest did not say where she was being held. Azarpeik has been arrested before, including in January 2013 when security officials raided at least four newspapers and arrested several journalists in advance of the presidential elections that gave Hassan Rouhani a victory. Azarpeik has been critical of the state's treatment of journalists and opposition figures and has repeatedly grilled officials and politicians in her interviews. She has been particularly under pressure for her comments and reports on her Facebook page. She particularly covered the case of the Iranian blogger, Sattar Beheshti, whose death in custody brought embarrassment for the authorities. While in jail, a number of journalists have been subjected to humiliating phyical abuse, including being forced to run a gauntlet of guards armed with batons. In April, the New York-based Committee to Protect Journalists (CPJ) reported that at least seven journalists were beaten in Tehran's notorious Evin prison, including Mohammad Davari, Saeed Matin-Pour, Omid Behroozi, Seyed Hossein Ronaghi Maleki, Siamak Ghaderi, Saeed Haeri and Mohammad Seddigh Kaboudvand. In recent years, the Committee to Protect Journalists (CPJ) has documented the mistreatment of journalists in Iran, which was the world's second largest jailer of journalists in 2013, behind Turkey. On World Press Freedom Day earlier this year, the CPJ called on Iran to release Siamak Ghaderi, a journalist who dared to interview a group of homosexuals in the country. He was reportedly lashed 60 times in 2012 and is currently serving a four-year jail sentence. 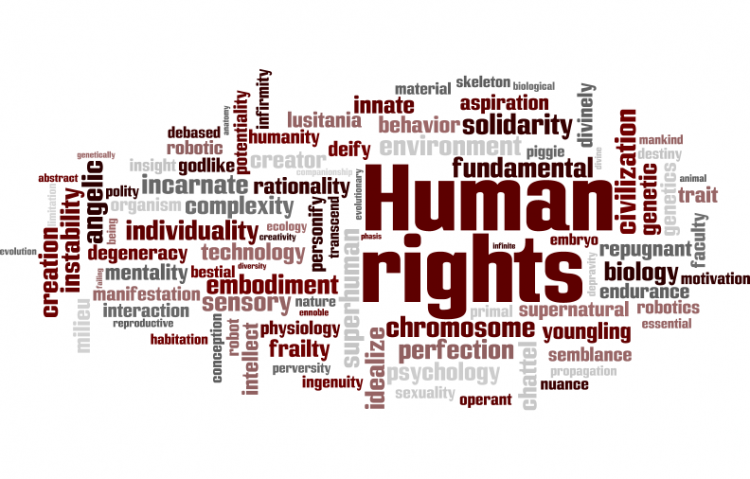 THEREFORE: We, the undersigned, call upon the international community at ALL levels to bring all possible pressure to bear upon the Islamic Republic of Iran to honor its legally-binding human rights obligations by IMMEDIATELY and UNCONDTIONALLY releasing Saba Azarpeik and all other prisoners of conscience in Iran. The Free Iranian Journalist Saba Azarpeik petition to UN, Ban ki-Moon, Navi Pillay, OHCHR, Ahmed Shaheed, EU, European Parliament, State Department, HRW was written by John S. Burke and is in the category Human Rights at GoPetition.